World's Fair Art Show | A Grand Exhibition that goes beyond the Imagination! 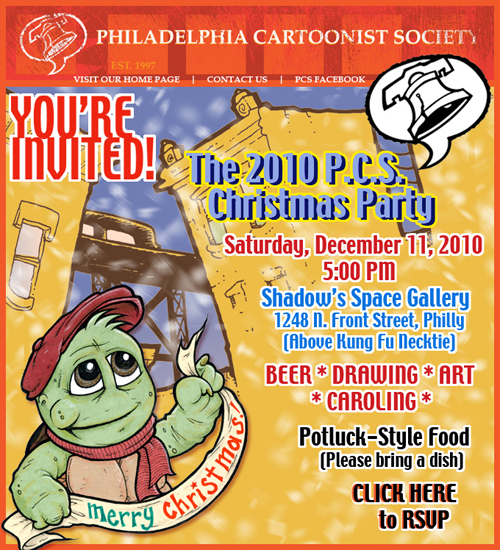 A Philadelphia Cartoonist Society Holiday Party at World’s Fair – what could be better? Again, Big ups to Jeff and Sam for all their organizing help! Caroling, food and fun! Bring a dish and your friends and family! 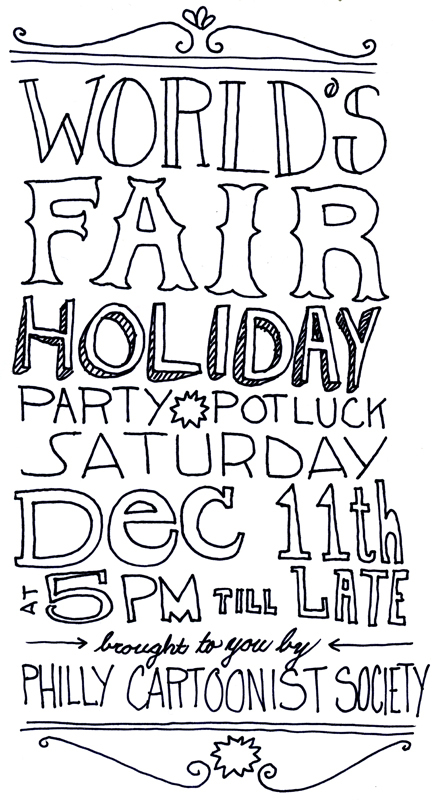 The World’s Fair is hosting the Philly Cartoonist Society Christmas party potluck! Come and have PCS fun at World’s Fair! All are welcome! Big thanks to Jeffro for putting the invite together! 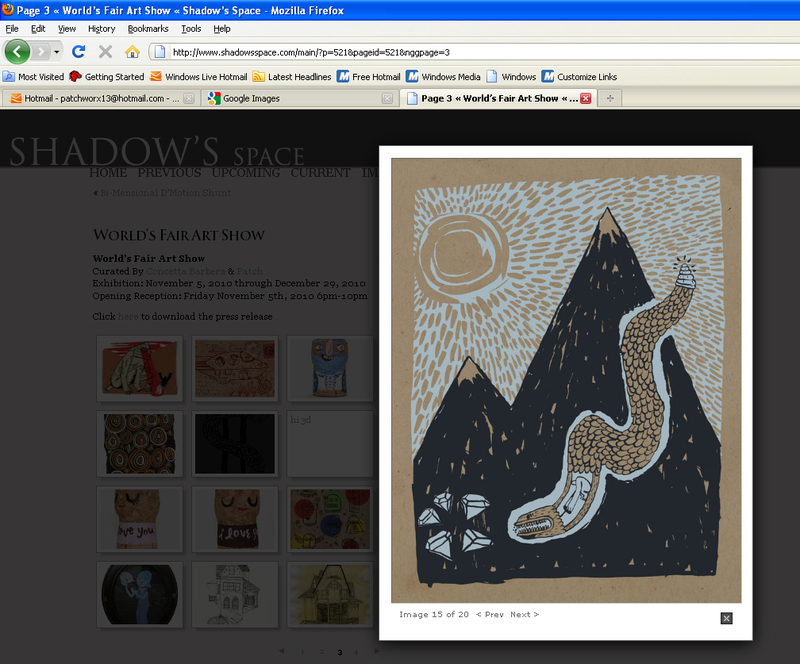 The folks at Shadow’s Space have been gracious enough to post an online gallery for the World’s Fair Art Show. If you haven’t had a chance to see the show yet you should definitely check it out here. Should you see something you like you can inquire about it via email at shadowsgallery@gmail.com. The show will be up for another month as will the online gallery, so all of you with a blog, facebook or an awesome email list please spread the word and feel free to post the link. 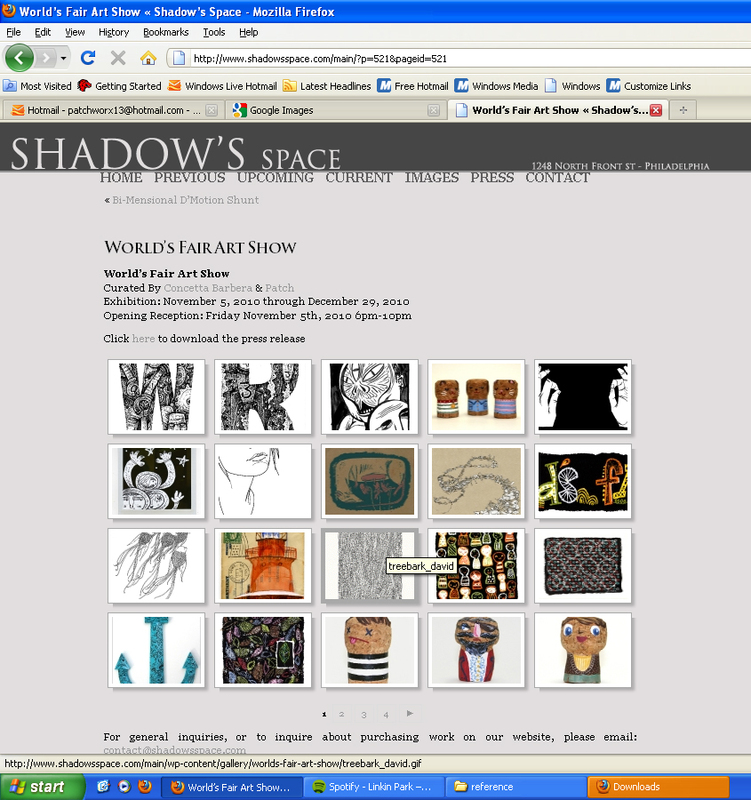 Above: A screen shot of the World’s fair Online Gallery. 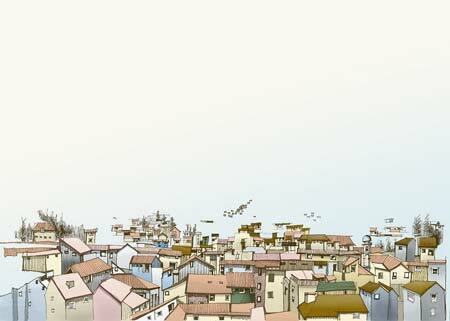 Below: Screen shot featuring one of the many prints on sale by James Heimer. Some clarity in the Blogosphere. Now I don’t make it habit to respond to every misprint or misquote, especially on the internet. But I felt obliged to stand up for my international brothers and sisters that submitted all their work a week early and braved the Post Office in order to guarantee delivery on time. I have posted a correction on their blog (sorry for the late response) and I thought I might post the links to our friends from overseas so you can take a gander. Ephmeron, David Galletly, Alex Horne and Gregor Louden. Thanks again to everyone that participated, I think you are all rather “worldly”. More kewl stuff to be posted soon! Above: The image selected by the Philadelphia City Paper to promote the exhibition. You can read more here. Also, we are working on another gathering at the space before the show comes down at the end of December. Keep your eyes peeled for more info on that event in the next few days. Above: Pic from the installation of the World’s Fair Art Show. 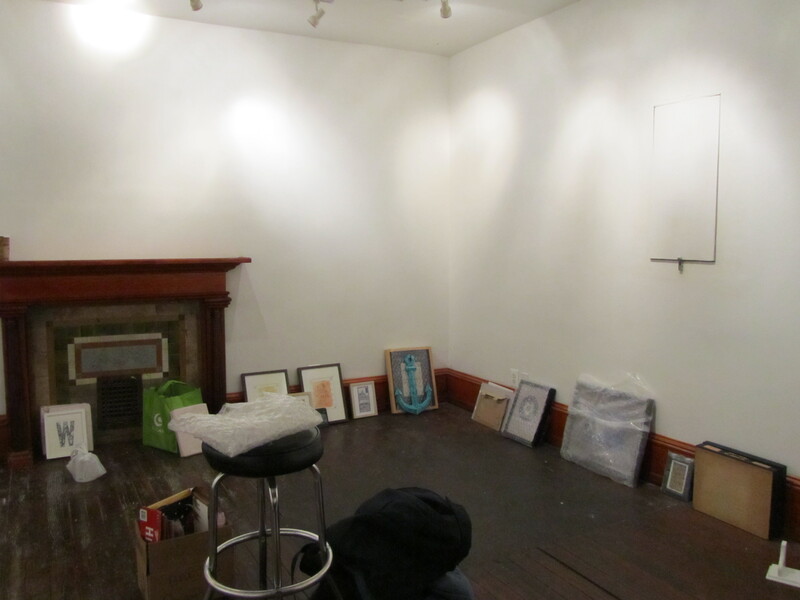 More than 130 pieces were on display for the opening this past Friday. 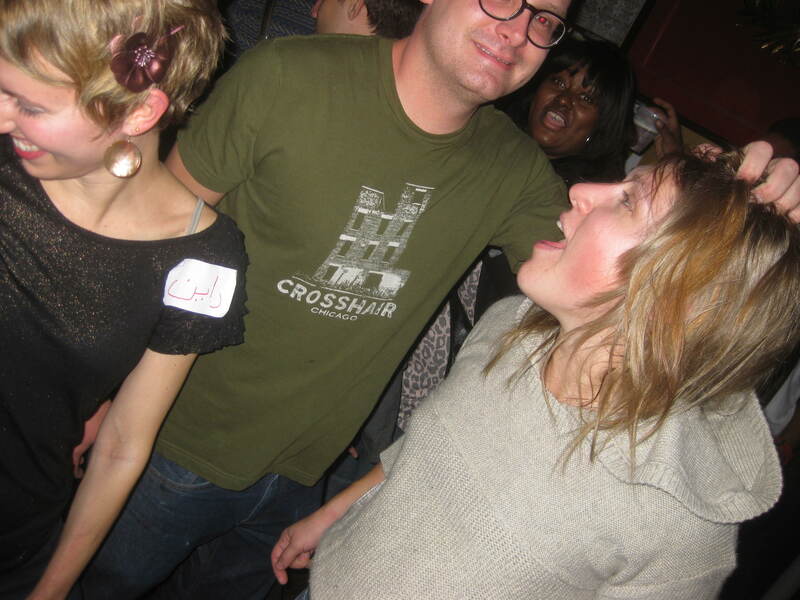 Below: The event carried on into the wee hours at Kung Fu Necktie, the bar located just below Shadow’s Space Gallery. I have been working to finish up my “World’s Fair” banner over the course of several months. I wrapped it up just in time to display it for the opening tonight. During this process my former instructor, and now colleague, Bob Stein, stopped by and asked “Where’s the L, D and S?” He had been following the show’s progress on the blog. He was also inquiring because he had shared my art with his Typography class just next door to my own. I was in shock; Mr. Stein had used my artwork as an example in his classroom! Show be damned I am on cloud nine already due this information. So, here it is Mr. Stein, in its entirety and on time. Consider it my ode to your class. May I have extra-credit for completing the word ‘Fair’?